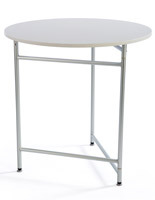 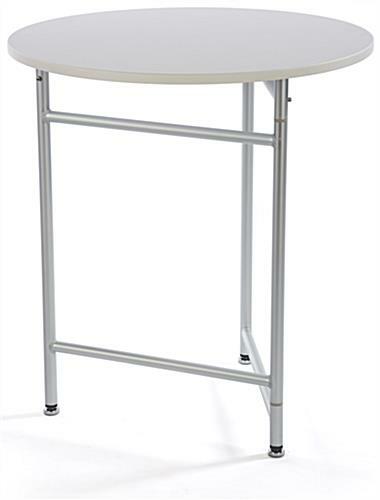 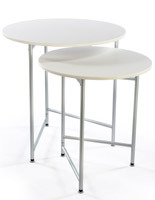 These white round cocktail tables feature a simple design and make great bar, banquet or event booths. 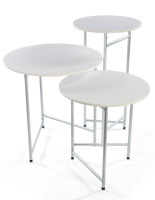 The furniture includes (3) silver aluminum legs and a circular white countertop. 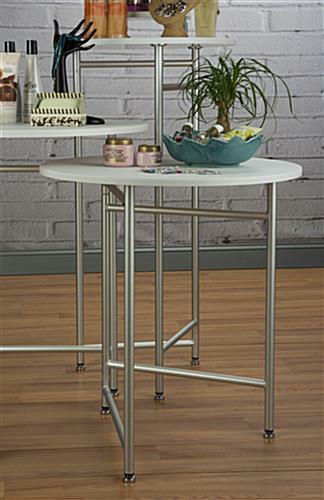 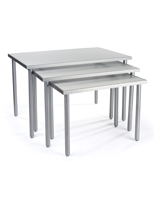 Each of the cocktail tables can be easily set up and collapsed, making them ideal for bringing to trade shows. 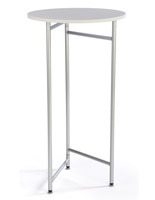 The event stands' top measures 27.5" in diameter and stands 30" tall. 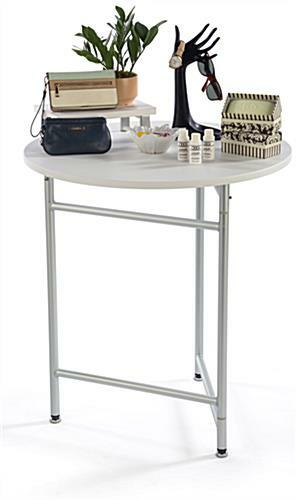 With these trade show tables, exhibitors can display merchandise and promotional information with ease. 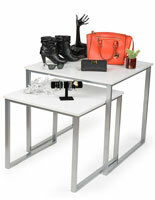 Alternatively, this furniture can be placed in bars or at banquets for a variety of uses.